Richard Galyean is the director of Bands and Music Education at The University of Virginia's College at Wise. He directs the Highland Winds, the College's Wind Ensemble, the Marching Highland Cavaliers, the Highland Cavalier Pep Band, the Wise GuysTuba Euphonium Ensemble and co-directs the Bluegrass Band. He also teaches courses in music education and supervises student teachers. 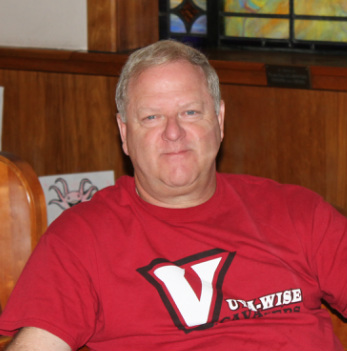 During his 13 years at UVA-Wise, he has been responsible for the founding of the Wind Ensemble, marching band, Wise Guys and the Bluegrass Band. In addition to his duties at UVA-Wise, he is also the Director of Music at Trinity United Methodist Church in Big Stone Gap, Virginia. He is also guest conductor and adjudicator in Southewst Virginia, East Tennessee, and Eastern Kentucky. He earned his B.S. and M.S. degrees in music education and conducting from Radford University in Radford, Virginia. Prior to his appointment at UVA-Wise, he was director of bands for the Galax County School System where his bands consistently earned Superior ratings in concert, marching and Jazz festivals. He began his teaching career at Pennington High School in Pennington Gap, Virginia. He has studied under Mark Camphouse, Bennett Lentzer, Anthony Maiello, and Richard Scott Cohen. He is married to Cathy Galyean and they have two grown children, Kristen and Todd.